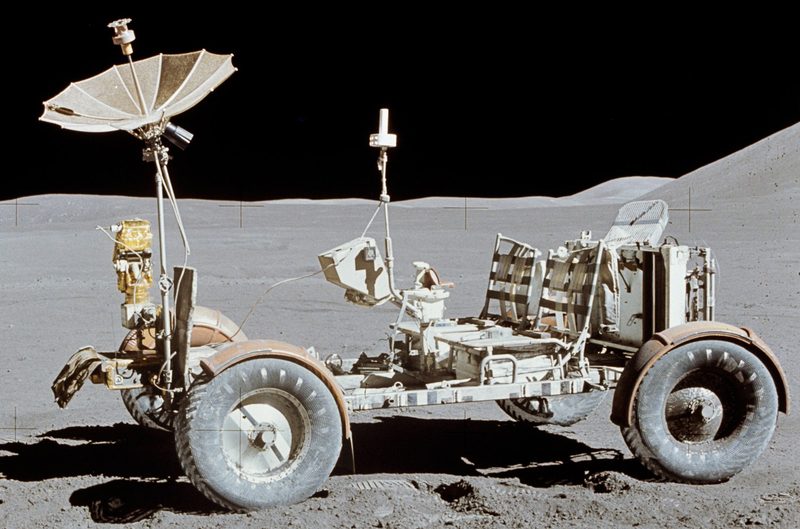 On this edition of "This Week in Tech History", Chris tells us of the Lunar Rover Vehicle, known by some as the “Moon Buggy” that took astronauts for a ride on the Moon’s surface. 1964 – Ranger 7 sent back the first close-up photographs of the moon, with images 1,000 times clearer than anything ever seen from earth-bound telescopes. 1971 – The first men to ride in a vehicle on the moon did so in the Lunar Rover Vehicle. This sort of lunar dune buggy carried Apollo 15 astronauts David Scott and James Irwin for five miles on the lunar surface. Their first stop at the rim of Elbow Crater was televised back to Earth to millions of viewers. through their Radio Shack stores. The name is an abbreviation of Tandy/Radio Shack, Z-80 microprocessor. And this week in 1998 – Bell Atlantic Corp. and GTE Corp. announced a $52.88 billion stock-swap deal to create the second-biggest telephone company — behind AT&T. The resulting mega-corporation — later to be named Verizon Communications — would begin with 63 million local telephone lines in 38 states and revenue of $53 billion.